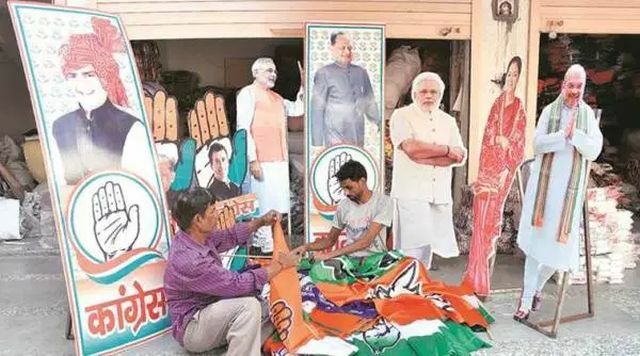 Jaipur, 17 Nov 2018 [Fik/News Sources]: In a move which brings out no surprise, out of the 162 BJP candidates, announced so far in two installments for the 200-member Rajasthan Assembly polling for which is due on December 7 there is not a single Muslim candidate, strengthening the perception that the party is playing the Hindutva card. Salawat Khan, General Secretary, BJP Minority Morcha, said in the last elections, the party gave four tickets to Muslims. “So far we have not been given any party nomination. We are still hopeful that the party would consider candidates from the community,” he said. In 2013 polls, the BJP had swept 163 of 200 assembly seats in Rajasthan.